Leading circular knitting machine builder Mayer & Cie. has delivered the company’s 65,000th manufactured machine to Culp Home Fashions, a division of North Carolina, USA based Culp Inc.
Culp has been expanding its manufacturing capabilities to support its strategic focus in the global mattress fabrics business and has recently purchased a significant number of jacquard knitting machines from Mayer & Cie. 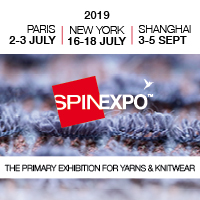 According to Mayer & Cie., the investment in state-of-the-art knitting technology enhances the company’s ability to provide outstanding delivery performance, quality, innovation and value. Currently a larger number of Mayer’s model OVJA 1.6 EM is being delivered and amongst those is the machine with the magic serial number 65,000. The OVJA 1.6 EM machines with 60 feeders for a 38 inch diameter and 68 feeders for a 42 inch diameter, which Mayer & Cie. has been offering for a just a few weeks, are said to be custom-tailored for Culp Home Fashions. The machines are said to be highly flexible for the relatively high number of feeders, whilst still being able, for example, to achieve 24 rpm or 1.2 m/sec. at 38 inch diameter. Culp Home Fashions is a market leader in innovative knitted and woven mattress fabrics. From pattern inception to fabric delivery, the company’s modern, vertically integrated manufacturing platform provides accelerated responsiveness, stability and service for its customers. Mayer & Cie. says it is no coincidence that the 65,000th machine is a specialised mattress fabrics machine, as the sale coincides with it achieving a leading position in the sector with its share of machines for mattress fabrics soaring. Be the first to comment on Mayer & Cie. delivers milestone mattress machine to Culp Inc.